Where do traditional security systems fail and what can be done about their flaws? In the past decade, traditional security systems utilized in commercial or government facilities have consisted of a few basic elements: a well-trained personnel, a CCTV system, and some kind of access control system. At times, these traditional security system elements are sufficient enough for some uses, but there’s certainly no denying that these kinds of security systems suffer from inherent weaknesses that newer, intelligent systems are capable of overcoming. Basic CCTV systems and access control based security are often simplistic, one trick pony systems. An access control system may require some single form of authentication, such as a key card, though these cards may be susceptible to copying or theft. It’s a bit of a “putting all your eggs in one basket” situation where relying on a single technology leaves you vulnerable to certain kinds of threats. By expanding your approach to security and involving a wider breadth of types of security systems, you are better prepared for any threats your facility may face. Well-trained security personnel will always be an essential element in security, but an overreliance on their knowledge and ability can also lead to some serious holes in your security approach. When performing checks of road vehicles, it is impossible for a security expert to know what the underside of every vehicle looks like and how a potentially dangerous modification may stand out in contrast. Intelligent systems such as Gatekeeper’s IVUS are able to accurately determine these threats and have the benefit of machine learning and instant access to databases at their disposal. Traditional security systems are sluggish to adapt. Personnel require updated training, CCTV systems call for costly upgrades, and with all that time and money spent, you’re left vulnerable for the time being. Modern, intelligent systems are capable of adapting on the fly to whatever your needs may be. On the lookout for a specific license plate entering or exiting your facility? 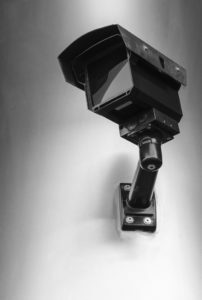 An intelligent license plate reader system is capable of alerting you to such an incident, unlike traditional CCTV systems which require constant monitoring. This entry was posted on Friday, March 23rd, 2018 at 10:00 am. Both comments and pings are currently closed.